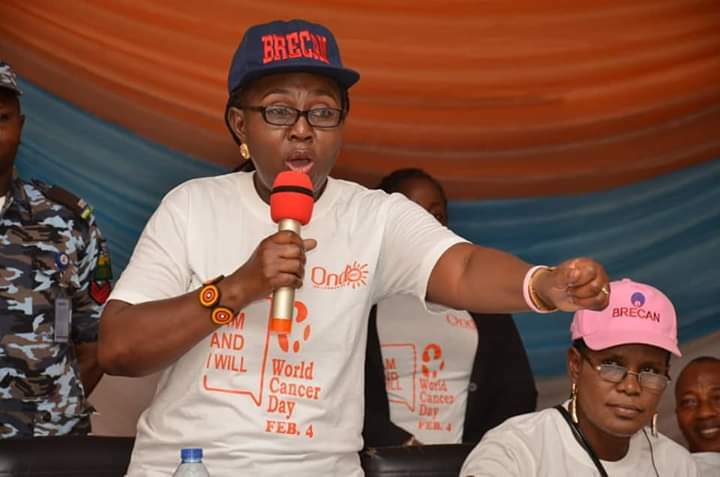 The Wife of Ondo State Governor and founder of Breast Cancer Association of Nigeria (BRECAN) Arabinrin Betty Anyanwu -Akeredolu has called on the government at various levels to commit adequate resources to the care and support of cancer patients and survivors to reduce deaths and provide better quality of life for them. 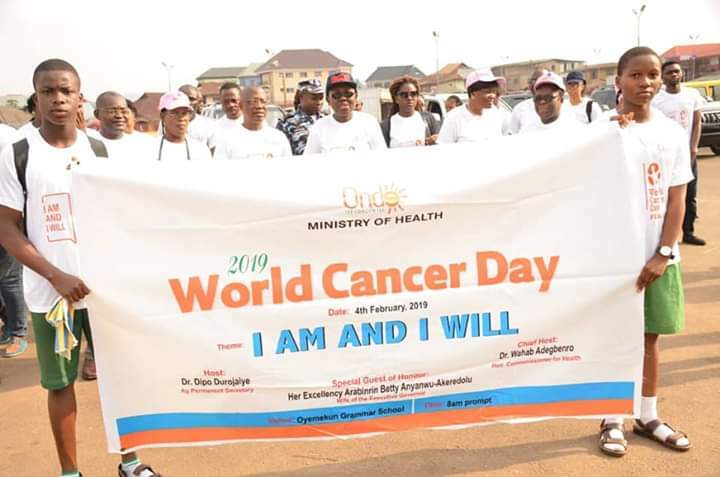 She made this call while delivering her keynote address at Oyemekun Grammar School in Akure, the Ondo State capital to celebrate this year’s World Cancer Day which is always marked 4th of February. 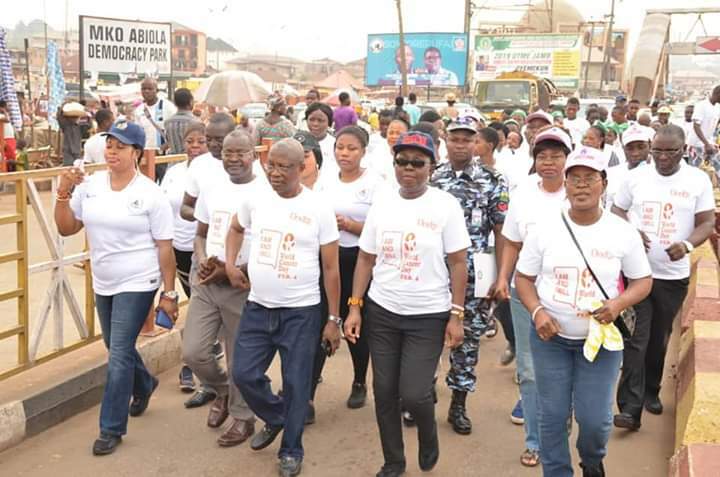 The event which started with early morning awareness walk from Democracy Park to Oyemekun Grammar School was led by Mrs. Akeredolu, ministry of health, BRECAN members, Survivors and secondary school students across Akure. 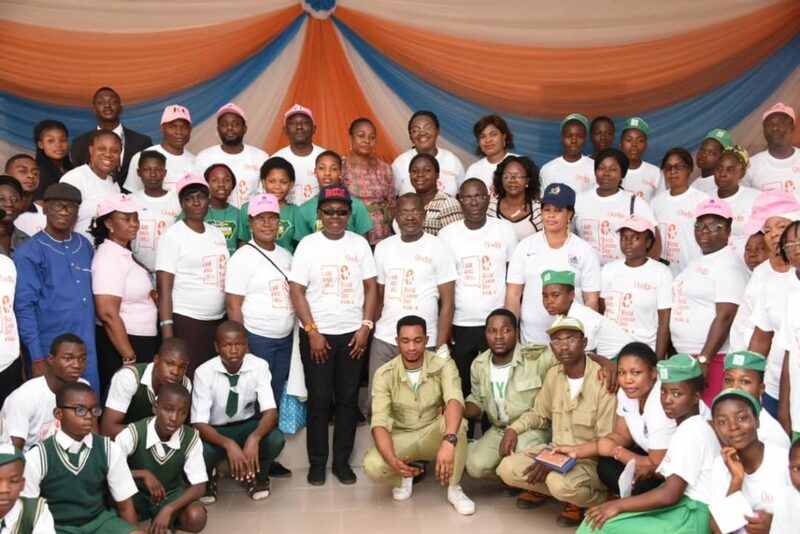 The First Lady who said that she was delighted to attend the important occasion of 2019 marked globally to raise awareness on cancer and to encourage people to speak up, talk about prevention, early detection and treatment said, “World Cancer Day originated in 2000 at the First World Summit against cancer which was held in Paris where it was decided to declare 4th February as the World Cancer Day to foster a cooperative global commitment to improving the quality of life of cancer patients and the continued investment in and advancement of cancer research, prevention and treatment. 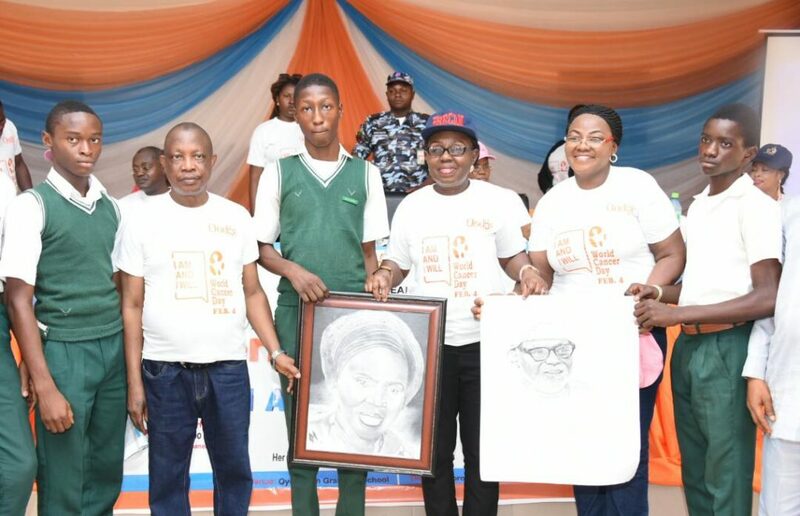 The founder of BRECAN who further explained that cancer is a genetic term for a large group of diseases characterised by the growth of abnormal cells beyond their usual boundaries that can invade adjoining parts of the body or spread to other organs appreciated her husband, Governor Oluwarotimi Akeredolu for his unalloyed support and kind gesture towards alleviating patient’s problem through the constitution of Cancer Advisory Committee for the establishment of cancer treatment in Owo. In his welcome address, the Commissioner of Health, Dr Wahab Adegbenro who described cancer as a public health problem worldwide affecting all age groups added that it is the second commonest cause of deaths in the developed countries and among the three leading causes of death in developing countries. “Would Health Organisation reported that about 24.6million people live with cancer worldwide. 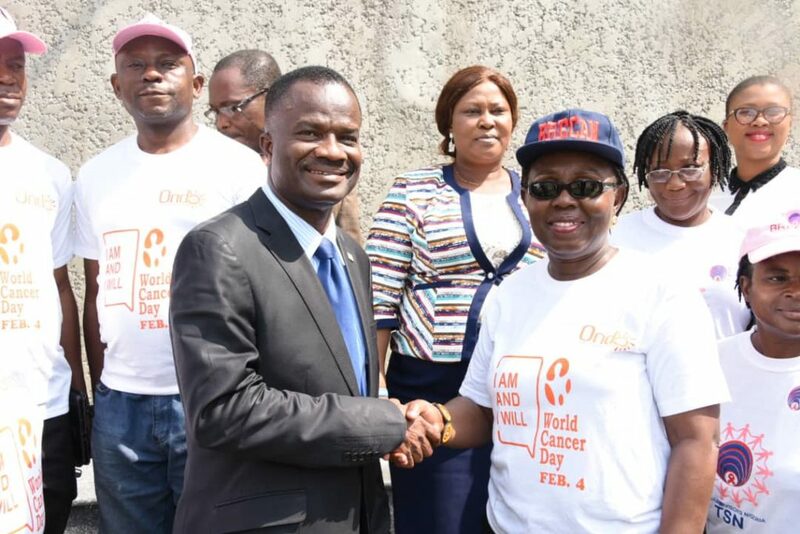 12.5 per cent of all deaths are attributed to cancer and if the trend continues, it is estimated that by 2020,16 million new cases will be diagnosed per annul out of which 70 per cent will be in the developing countries. 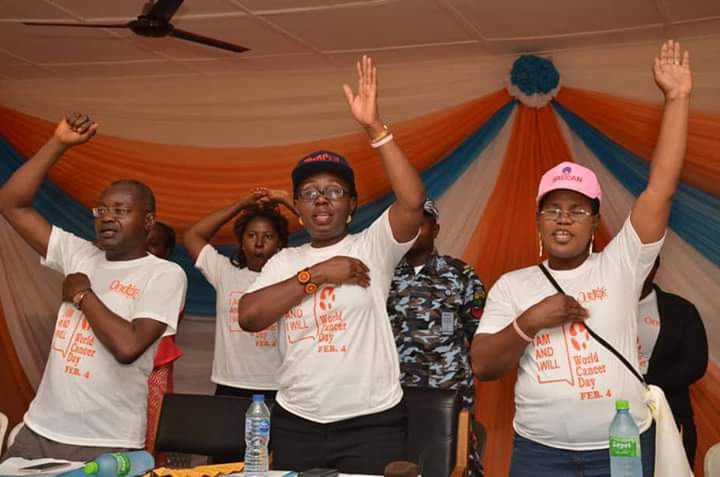 “Our administration headed by Governor Akeredolu is so passionate about the health of the Ondo citizens and has put in place an Advisory Committee for the establishment of a befitting world-class Cancer treatment centre in Owo, Ondo State. Speaking on this year’s theme “I am and I will” the guest speaker, an Oncologist, University of Medical Science, Akure Dr. Ndidi Okunnuga defined cancer as an uncontrollable, abnormal division or growth of cells in the body. She mentioned three most common cancer to include brest cancer, cervical cancer and prostrate cancer. Some of the risk factors according to the Oncologist are tobacco /cigarette smoking, physical inactivity, processed foods, obesity, family history, infectious diseases like viral hepatitis B and C, environmental pollution, exposure to radiation among others. The oncologist appealed to women to exercise regularly, eat fruits and vegetables, avoid fatty foods, reduce intake of red meat, maintain a neat environment among others. In a related development, the First Lady with members of Team Survivors Nigeria (TSN), a project of BRECAN, also paid a courtesy visit to the State Head of Service (HOS) Barr. Toyin Akinkuotu to appeal for the payment of gratuity of cancer survivors in order to care for themselves. ” Some of the cancer victims do not have money to start the test talk less of other treatments which cost millions of naira. The assessment for treatment cost, according to Dr Aba Katung of Federal Medical Centre (FMC), Owo, is at least N600,000 aside other costs. “Though, no budget line for the office of the First Lady yet, I cannot tell a victim of breast cancer to go without figuring out how to assist knowing fully well what the person is passing through. That is why I came up with the idea of crowd funding for people to donate at least #200 to assist breast cancer victims. 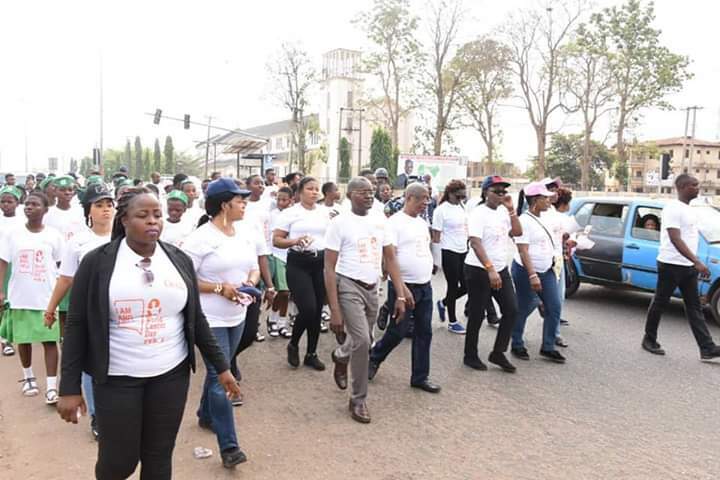 “Anyone who had experienced cancer of any form will tell you that if one is affected, every member of the family will feel traumatized hence, the support of Governor Oluwarotimi Akeredolu to establish a befitting World -Class cancer treatment centre in Owo. “We want you to fast track the payment of gratuity to breast cancer victims because there is a lifestyle survivors need to adopt to prolong their lives. 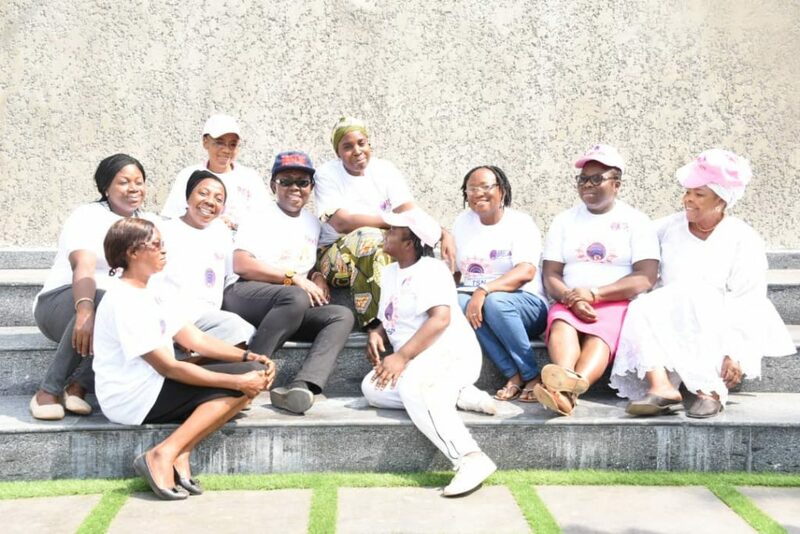 The Coordinator Team Survivor Nigeria(TSN) who is also a breast cancer survivor, Mrs Oluwatoyin Oluwagbamila appreciated the First Lady for supporting breast cancer victims financially as she revealed that if not for her financial support she would probably have become history. She also pleaded with the HOS to help cancer victims who had retired across the State to access good health care by paying their gratuity. 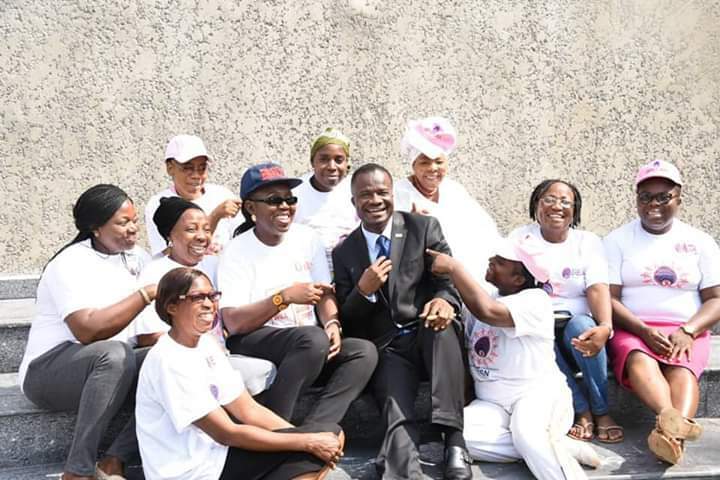 In his response, the HOS expressed delight at the visit of Her Excellency and TSN promised to meet with Governor Akeredolu and discuss how to pay the gratuity of breast cancer victims and survivors in the State. 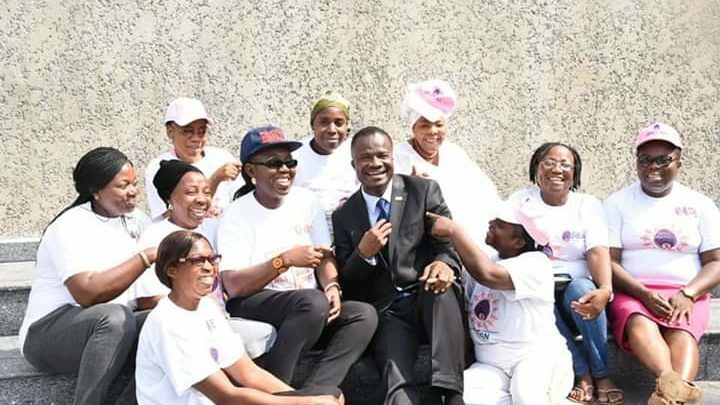 His words, “We are very proud of you for all you have been doing like helping young girls to actualise their dreams, addressing poverty among women through Forums for Wives of Ondo State Officials and Women political appointees (FOWOSO) and helping breast cancer patients across the State financially. “I know that cancer is a problem that threatens humanity which must concern everyone. The problem of pension and gratuity in Nigeria is acqulian that many States find it hard to pay. This government inherited 40 billion of unpaid gratuity which make it difficult, the state government has been paying pension as and when due despite the limited resources which must be commended.